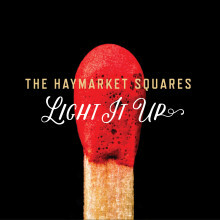 The Haymarket Squares are Arizona’s finest purveyors of punkgrass. Righteous anger meets 4-part harmonies and bluegrass instruments for a moshpit hoedown! We got our start as a trio in 2009 and have since played more than 500 shows in the U.S., Canada and Europe. We’ve developed a loyal following among folks who appreciate rabble-rousing lyrics wrapped in a catchy melody. Known for our long sets and short songs, a typical Haymarket Squares show features ecstatic dancing, blindingly fast mandolin, and broad smiles. Who knew changing the world (or at least singing about it) could be so much fun? © 2019 The Haymarket Squares. All Rights Reserved.